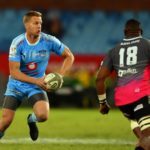 Dylan Sage will wear the Vodacom Bulls No 12 jersey against the Lions in Johannesburg on Saturday. Blitzboks star Dylan Sage has been named on the bench for the Blue Bulls match against Griquas in Kimberley on Saturday. 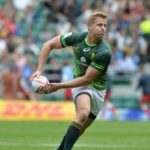 Blitzboks star Dylan Sage has been ruled out of the first two World Rugby Sevens Series tournaments as a result of a back injury.